We make paniyaram from the left over batter with carrot and other seasonings. 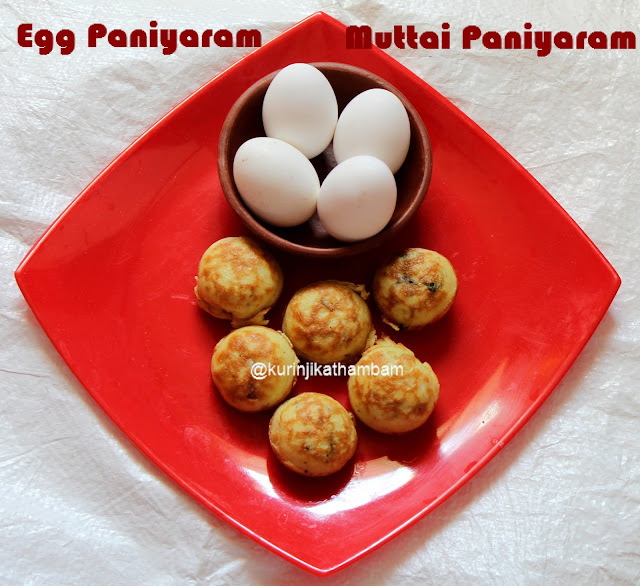 But this egg paniyaram is a interesting and healthy variation which makes it tasty also. Click here to view 10 more Paniyaram Recipes. 1. Heat the oil in pan, add mustard seeds and urad dal. Wait for popping. 2. Then add the curry leaves and sauté them till they become crisp. 3. Now add the chopped onion and sauté the onion becomes translucent. Allow it to cool down completely. 4. 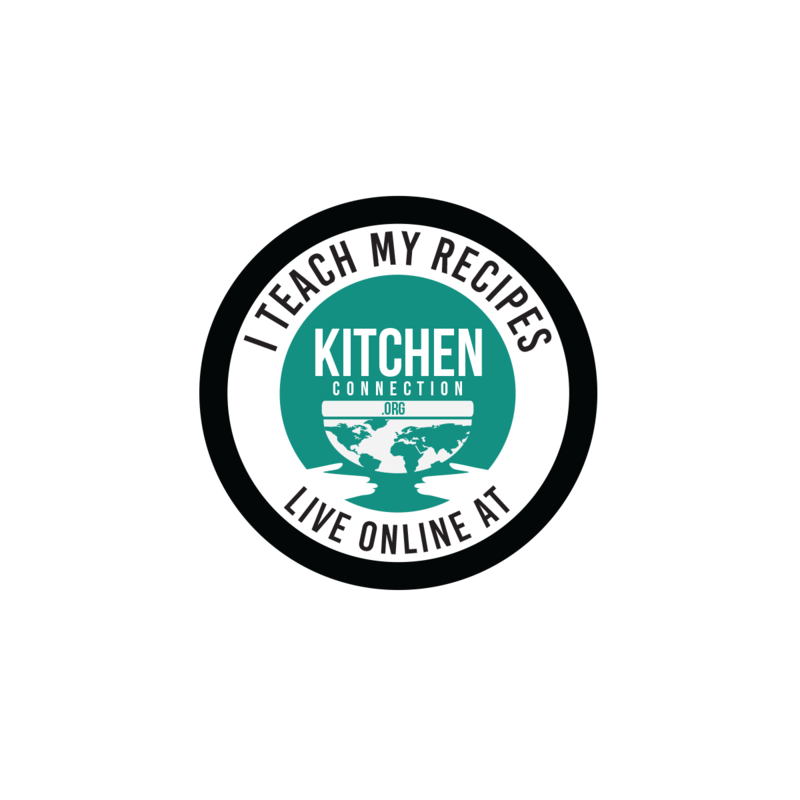 Meanwhile, add 2 tbsp of water, turmeric powder, pepper powder and salt in a bowl. Mix them well. 5. Then add the paniyaram batter and onion mixture (from 3). Mix them gently. Egg paniyaram batter is ready. 6. 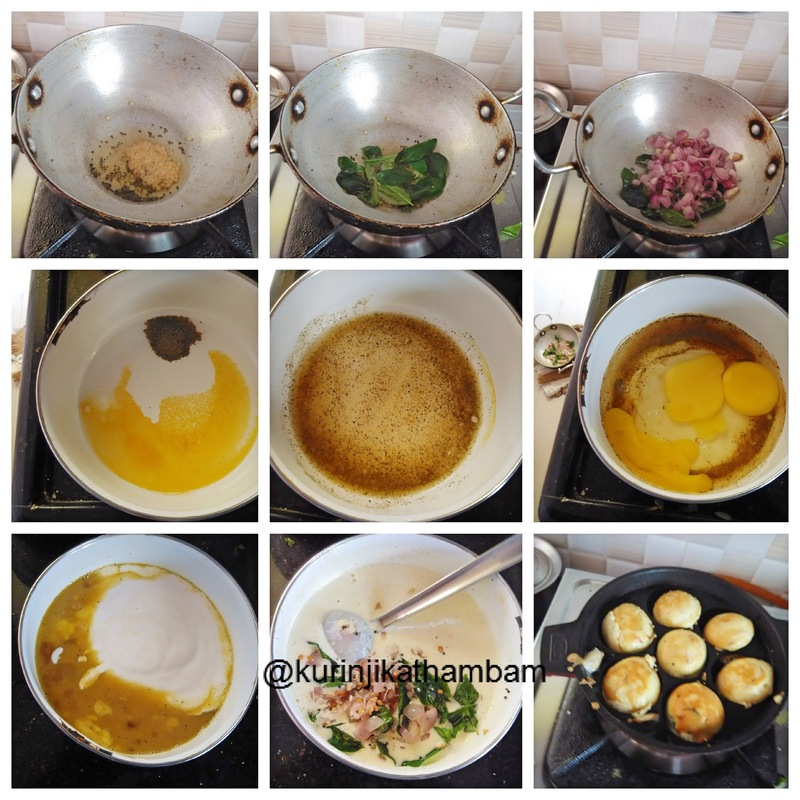 Heat the kuzhi / kuli paniyaram pan, pour few drops of oil and then pour this egg paniyaram batter upto ¾ of the kuzhi (depression). 7. After few min, turn them to the other side and cook till it becomes golden color on both sides. Healthy and yummy paniyaram is ready to serve. Serve with Coconut Chutney. 1. You can add either sambar onion or big onion. But sambar onion gives rich taste. 2. Add sambar powder instead of pepper powder.